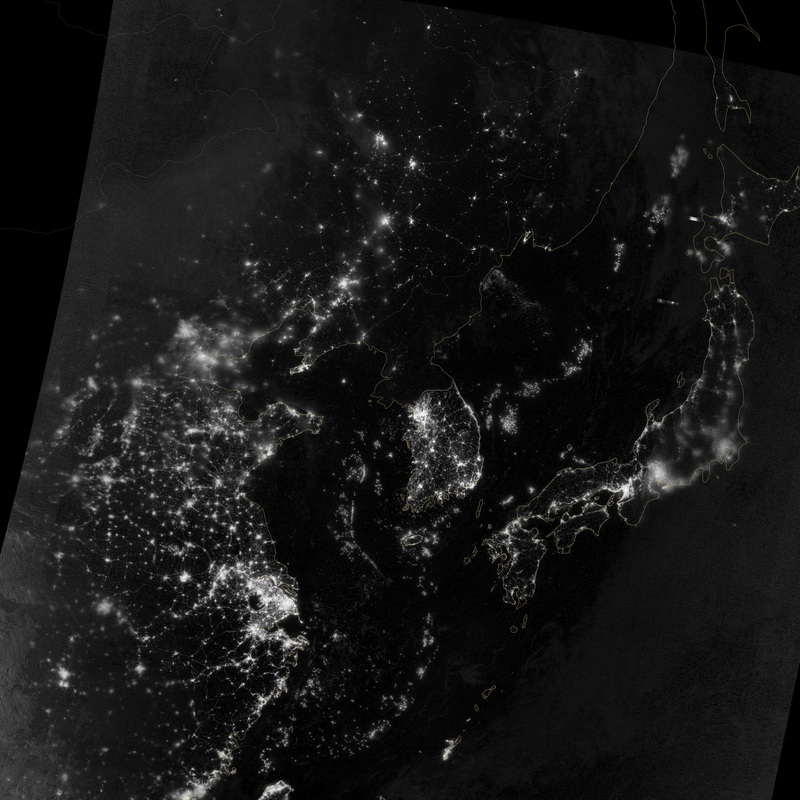 The energy disparity between Pyongyang and its neighbors is clearer than ever in this awesome NASA satellite shot. Pyongyang has a probable population of more than 3 million people, but you wouldn't know it looking down on the city from space. Only the faintest of glimmers rise from the metropolis, as if all its residents are huddling in the dark for their Supreme Leader's surprise birthday party. The world has known of North Korea's night-invisibility for a while. On imagery captured by military satellites in the '90s, the country shows up like a gaping hole in the flaming latticework of light that is Japan, South Korea and China. But recent overpasses by NASA's Suomi NPP spacecraft – the one that provided those marvelous shots of nocturnal America – has revealed the country's energy bankruptcy in a level of detail never seen before. North Koreans beyond middle age remember well when they had more electricity (and for that matter food) than their pro-American cousins in South Korea, and that compounds the indignity of spending their nights sitting in the dark. Back in the 1990s, the United States offered to help North Korea with its energy needs if it gave up its nuclear weapons program. But the deal fell apart after the Bush administration accused the North Koreans of reneging on their promises. North Koreans complain bitterly about the darkness, which they still blame on the U.S. sanctions. They can't read at night. They can't watch television. "We have no culture without electricity," a burly North Korean security guard once told me accusingly.